Place pork and next 5 ingredients in a large zipper bag. Zip to seal. Cut potatoes into wedges and place in another large zipper bag with next 3 ingredients. 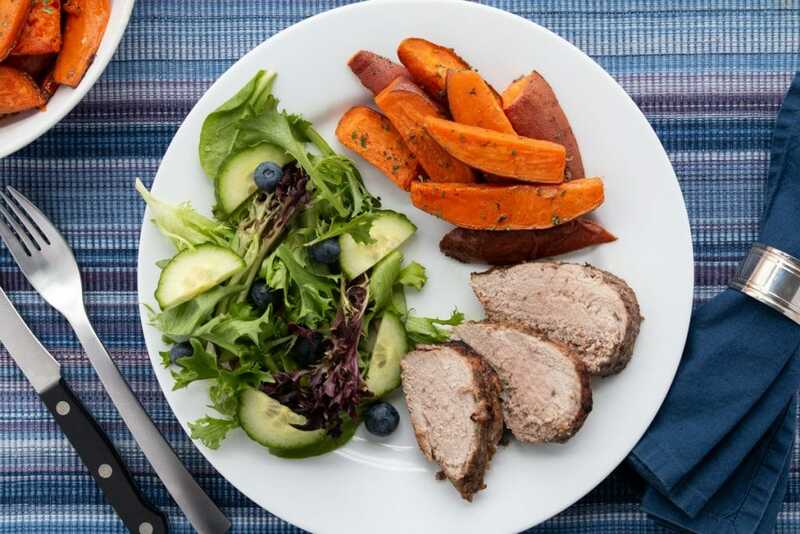 Place pork and sweet potatoes on large baking sheet sprayed with non stick spray. Bake in a 400 degree oven for 30-35 minutes or until pork is cooked through.